Kennedy, Dorothy. "Heiltsuk (Bella Bella)". The Canadian Encyclopedia, 09 October 2018, Historica Canada. https://www.thecanadianencyclopedia.ca/en/article/heiltsuk-bella-bella. Accessed 20 April 2019. The Heiltsuk are Indigenous people who have occupied a part of the central coast of British Columbia in the vicinity of Milbanke Sound and Fisher Channel. Historically, Europeans referred to the Heiltsuk as the Bella Bella, a term anglicized from the name of a site located near the present-day community of the same name. In the 2016 census, 1,835 people identified as having Heiltsuk ancestry. As of July 2018, there were 2,452 registered members of the Heiltsuk First Nation, 1,150 of whom live on reserve. Historically, Heiltsuk bands each had their own territory and possessed their own winter villages, head chiefs, ceremonial prerogatives and dialects. Winter villages consisted of large cedar plank houses with gabled rooves, double ridgepoles and carved interior posts. 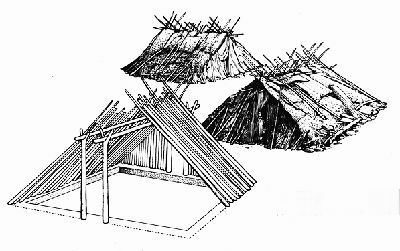 Bark houses were sometimes situated at camping sites. (See alsoArchitectural History of Indigenous Peoples in Canada.) The Heiltsuk travelled mostly by cedar bark canoes distinctively designed for use in open ocean or lakes. They excelled in other woodworking skills including the manufacturing of bentwood boxes and chests. The traditional Heiltsuk economy focused on the harvesting and preservation of wild fish, birds, land and sea mammals, marine invertebrates	and plants; there were no domesticated plants or animals. In late winter, Heiltsuk families left the central winter villages and set out for annually occupied seasonal camps where food was prepared for storage, to be used during the winter ceremonial season. Movement between camps was geared to the availability of resources. What was not available locally was traded for with other Indigenous people. Marine resources were exchanged via the Heiltsuk with more interior communities, such as the Nuxalk and the Dakelh. Heiltsuk society was stratified into a hierarchy of five groups of people: head chief, chief, noble, commoner and low-class person. The upper classes maintained their status through the potlatch and ceremonial system in which chiefs called upon the resources of others to host dances and feasts. At these gatherings, hereditary prerogatives were displayed, and such rights were validated within and beyond Heiltsuk society. Unlike their neighbours to the north, the Heiltsuk, along with First Nations to the south, traced their descent bilaterally, acquiring rights and membership in a particular group from either parent. Additionally, there were crest groups based on descent, similar to the clans of their northern neighbours. The crest groups were ranked, with Raven being the highest, followed by Eagle, Killer Whale (Orca) and Wolf. Each of these crest groups was represented in each Heiltsuk band. One of the obligations of the crest group was to perform memorial duties; such tasks went to the group associated with the father of the deceased. The Heiltsuk speak Hailhzaqvla (also simply called Heiltsuk), a Wakashan language shared also with the Haihais or Klemtu. The language is endangered; in the 2016 census, only 115 reported Heiltsuk as their mother tongue. Many of the fluent speakers are elders. While federal policies such as residential schools	worked to erode the Heiltsuk language, the Heiltsuk First Nation actively promotes the teaching and preserving of the language. (See also Indigenous Languages in Canada). First contact with Europeans likely occurred in the 1780s, although trade with the Heiltsuk did not become common for another decade. In the early 1800s, the Heiltsuk were active participants in the maritime fur trade. In 1833, the Hudson’s Bay Company established Fort McLoughlin on Campbell Island. This depot was dependent upon receiving furs obtained by the Heiltsuk through trade. The post closed in 1843, as the company’s steamship Beaver provided an expedient means of collecting furs, and therefore made the fort obsolete. After the mid-1800s, the remnants of Heiltsuk communities, severely reduced in population due to a series of epidemic diseases, amalgamated at McLoughlin Bay. By the 1880s, the Heiltsuk population had decreased to around 200. In 1898, guided by Methodistmissionaries, the population moved to the present-day site of Bella Bella. In the 20th century, Bella Bella expanded into a prosperous community focused on participation in commercial fishing, herring roe and forestry	industries. Today, an active ceremonial life binds the communities with the traditions of their ancestors and the diverse Indigenous population who live along the west coast of British Columbia. 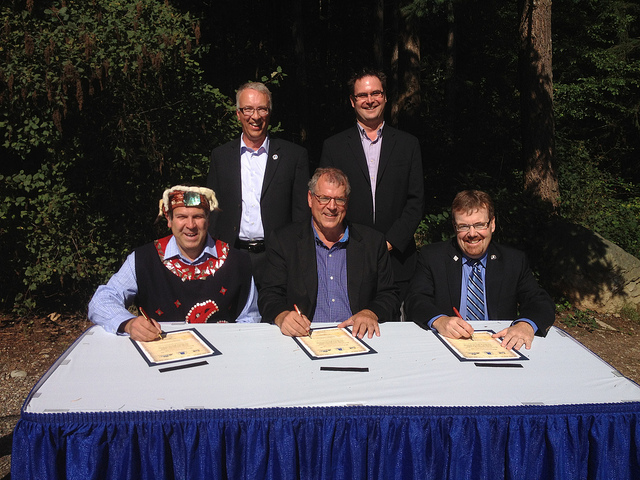 Potlatches continue to mark significant points in Heiltsuk family life. On 13 October 2016, a tugboat carrying more than 200,000 litres of diesel sank off the coast of Bella Bella, in the territorial waters of the Heiltsuk First Nation. An estimated 100,000 litres of fuel leaked into the water, affecting wildlife, the environment and the people’s food supply. On 6 November, federal transportation minister Marc Garneau met with Heiltsuk leaders and promised that a ban on oil tanker traffic on the North Coast of British Columbia is in the works. Franz Boas, "The Social Organization of the Tribes of the North Pacific Coast," American Anthropologist 26 (1924); Suzanne Hilton, "Haihais, Bella Bella and Oowekeeno," Handbook of North American Indians Vol 7 (1990); Ronald Olson, "Notes on the Bella Bella Kwakiutl," Anthropological Records 14. 3 (1955); Suzanne Storie, [Hilton] and Jennifer Gould, Bella Bella Stories: Told by the People of Bella Bella (1973). 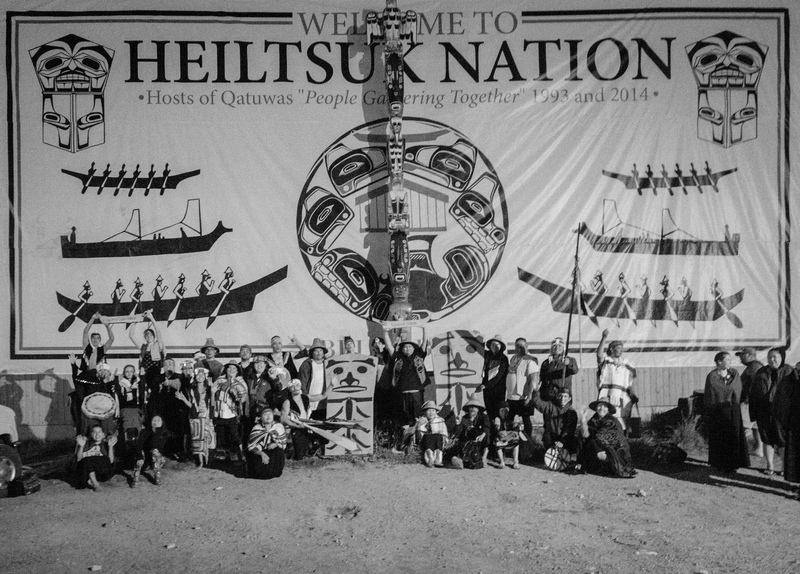 HEILTSUK FIRST NATION Explore the official website of this First Nation in British Columbia.